The idea of moving to a new neighborhood is stressful enough. But out of state? The blood runs cold. But in fact, given a day or two to research and plan, it’s not that high of a hill to climb. Follow these tips, so when moving day comes your work will be done, and you can breathe easy. Create your Master Plan. With everyone in your family, write down a strategy for the move. include tasks and duties for everyone, a timeline, a strategy for packing, and a checklist for completion. Decide how you’ll move. Take your chances on your own with a rental truck and family labor? 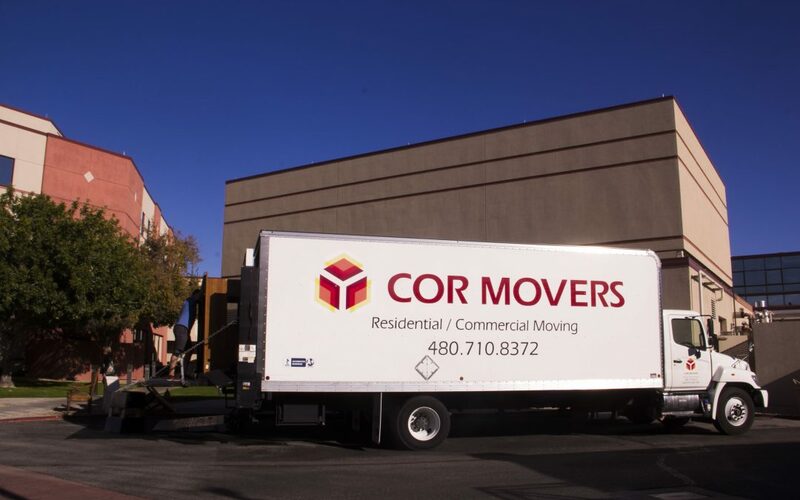 Or have professional movers handle the whole job for you? Cost is a factor, true, but so is expertise, plus the relative assurance that your belongings won’t disassemble en route. Get started early. Moving takes time and energy, so be sure you have plenty of both. Get in touch with potential moving companies at least six weeks out – two months if you’re planning to move over a weekend. How and what to pack. Keep items from the same room together. Mark the boxes clearly. Put the heaviest things on the bottom and fill up the boxes completely, but make sure they can close securely without bulging: those boxes will need to stack in the moving truck. Important items. Keep things like birth certificates, passports, Social Security cards, credit and debit cards, financial documents, jewelry, etc. safely on your person or in your car. Don’t leave them in the moving van or with the movers. Prepare for moving day. Arrange to cut off utilities at your old house and turn them on in your new home. Have the important everyday things like toiletries, cleaning supplies, kitchen utensils and medications with you, as well as implements like Sharpies, tape, and box cutters. You’ll need ’em.